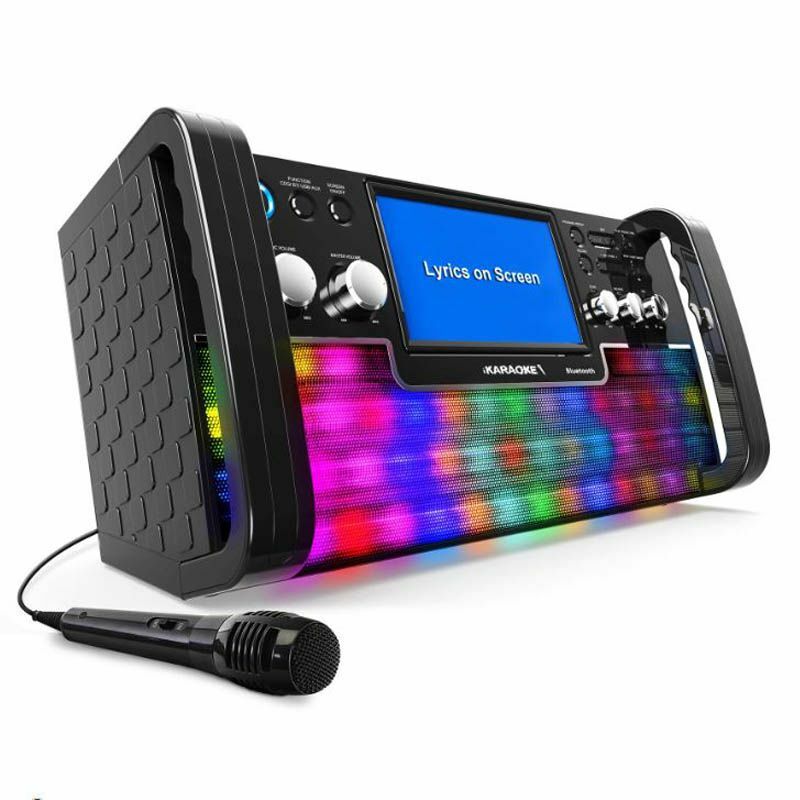 Get your karaoke party started with the KS780B-BT Karaoke System from iKaraoke. 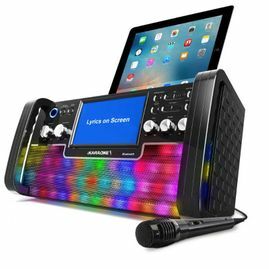 This easy-to-use karaoke system plays your music CDs and karaoke CD+Gs so when you connect it to your TV with the supplied cables, you can sing along to the lyrics displayed on your TV. The KS780B-BT also has Bluetooth, so connect your favorite Bluetooth-enabled device, drop it in the supplied cradle and rock out to your favorite music. The multi-color lighting effect will add the ambiance as it pulsates to the beat of the music. This Karaoke System includes a wired microphone, RCA cables for TV connection, demo CD+G and AC power cord. This karaoke machine is worth the cost! Its easy to use and sounds great. I have had 5 machines in different brands and this one by far is the best. I referred my friend after showing her mine and she also. purchased the one I bought!! !